Josef Seibel Fiona 87213 ladies slip on shoe. It features soft leather uppers, linings and a leather covered footbed, ideal for wearing barefoot. The flexible, lightweight and durable TR outer sole makes it perfect for summer strolls. 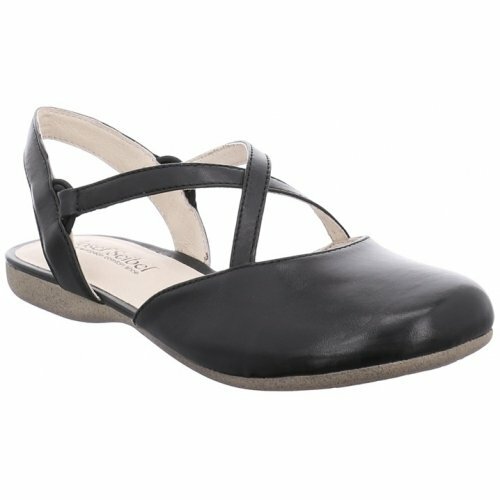 Josef Seibel Fiona is available in black leather from a size 36-41 (3-8).